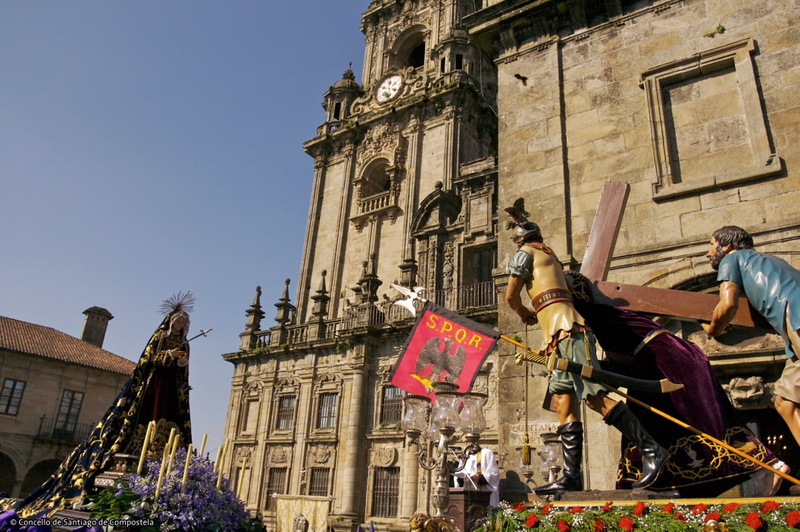 For UNESCO, Santiago de Compostela is "an ideal city brimming with both history and timelessness". 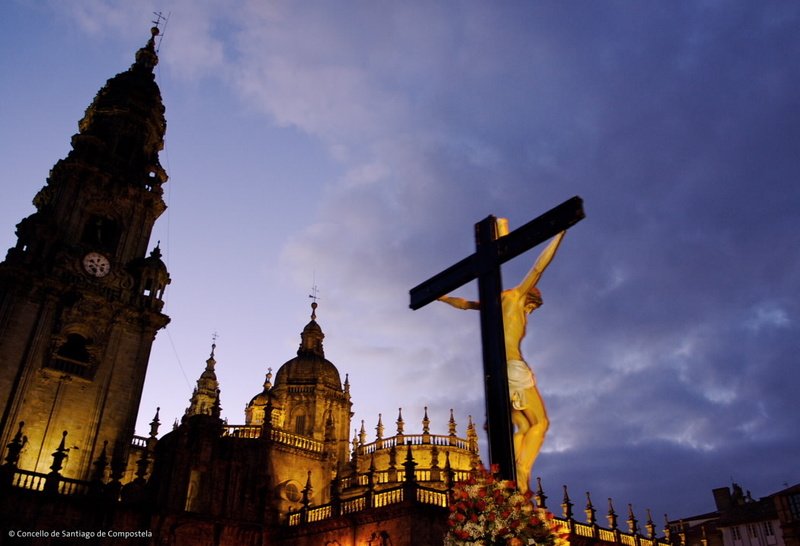 In 1985, it was declared Cultural Heritage of Humanity for its urban beauty and monumental integrity in addition to the deep echoes of its spiritual significance as a sanctuary and destination of Christianity’s greatest pilgrimage between the eleventh and eighteenth centuries: the Camino de Santiago. 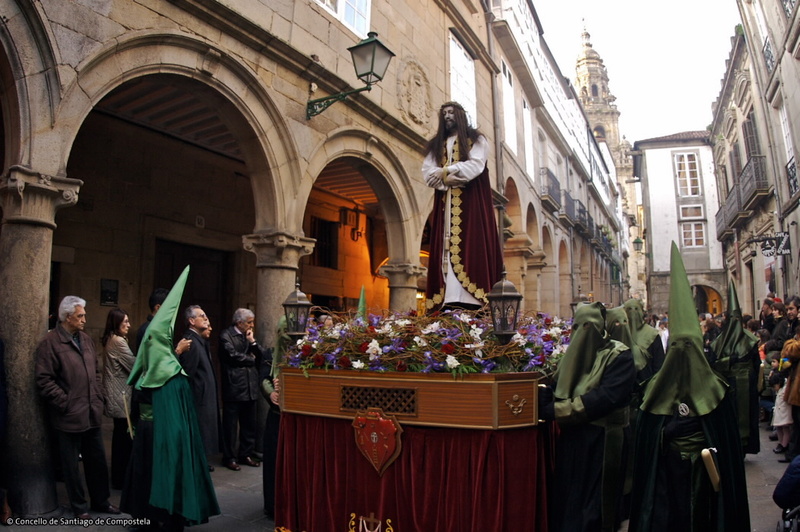 The history of Compostela and its sceneries confer unique splendour and unquestionable solemnity to the commemoration of the Passion of Christ. The exceptional granite landscape, filled with towers, balconies, scrolls and gargoyles, makes for spectacular and dramatic processions in the dark, especially the ones around midnight, and those of a penitential nature, cutting through the fog and stepping on wet stone. 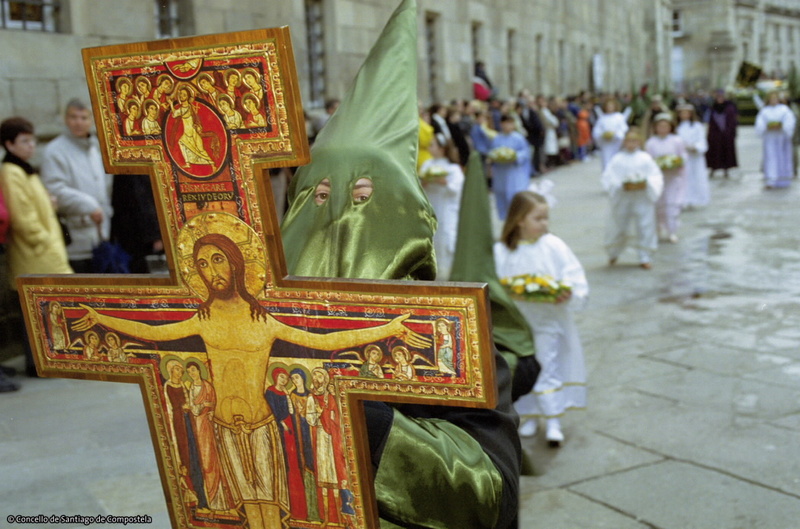 Thirteen Compostelan brotherhoods, some of them of very ancient origin, walk through the historic city in 17 processions, from Domingo de Ramos to Dominica in Albis, accompanied by the piercing sound of the horns and the deep rhythm of the drums, echoed by the stone streets under the amber streetlights. 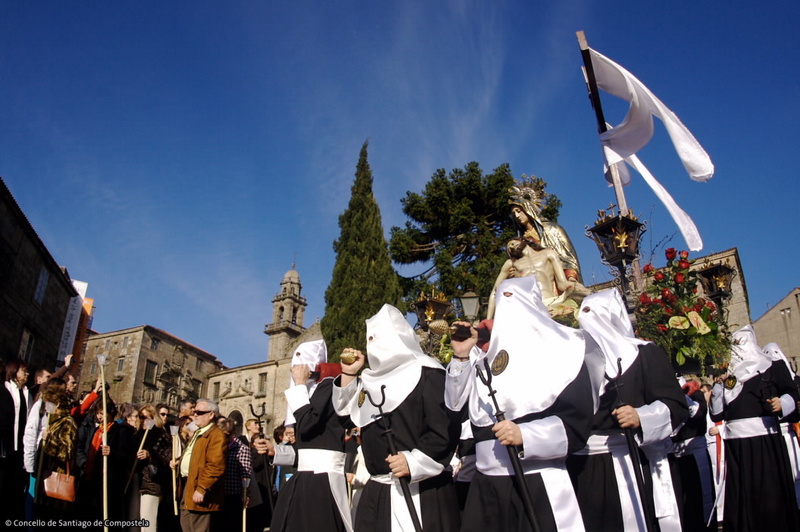 The Holy Week of Santiago de Compostela includes more than a week of processions: liturgical acts and concerts of sacred and ancient music, as well as the opportunity to experience the intimacy of churches and convents and enjoy traditional Lent food. 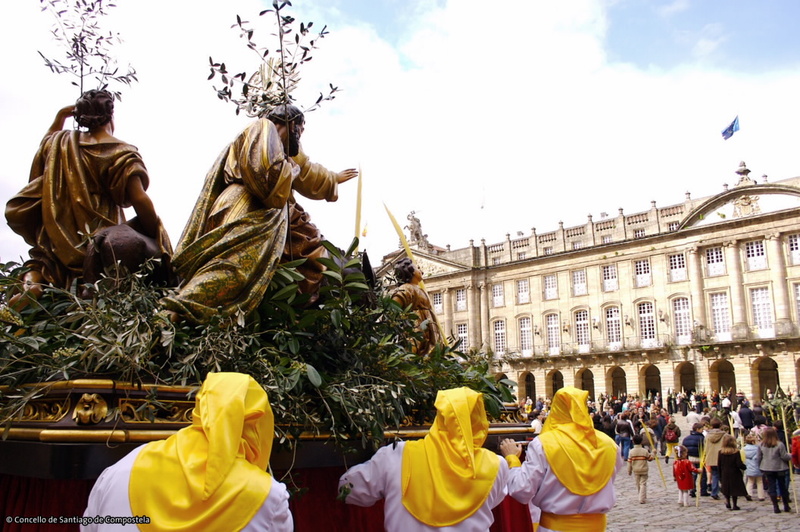 Visit to the monumental churches, open with special schedules on occasion of the Holy Week and for the celebration of sacred and spiritual music concerts.